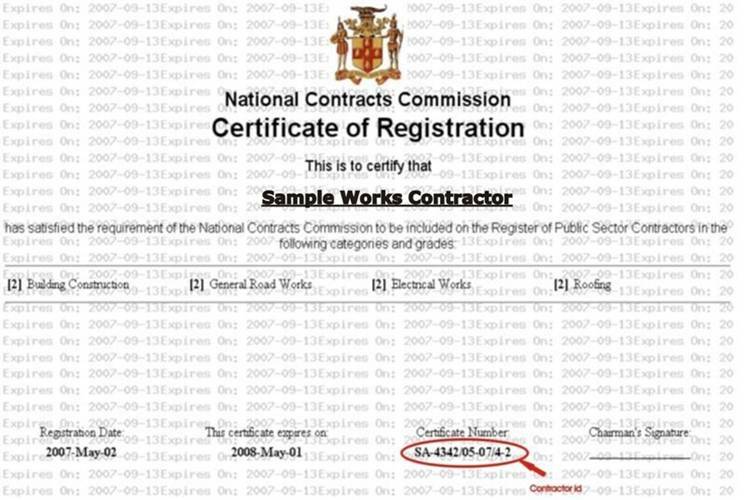 Below is a sample certificate that should be submitted by NCC registered works contractors. 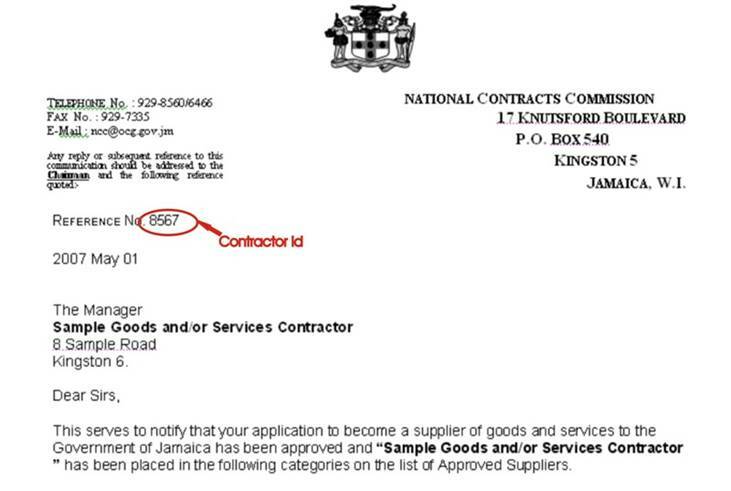 The information which is circled in red should be entered as the contractor ID on the QCA Report form. Below is a sample letter that should be submitted by NCC registered goods or services contractors. The information which is circled in red should be entered as the contractor ID on the QCA Report form.